If you’re like us, you spend more time than you care to admit staring at a computer screen. Whether it’s trying to find the right words for a blog post or troubleshooting some code, the end result is the same: an otherwise normally functioning human being is reduced to a slack-jawed zombie. Wouldn’t it be nice to be able to quantify just how much of your life is being wasted basking in the flickering glow of your monitor? Surely that wouldn’t be a crushingly depressing piece of information to have at the end of the week. With the magic of modern technology, you need wonder no longer. Prolific hacker [dekuNukem] has created the aptly named “facepunch”, which allows you to “punch in” with nothing more than your face. 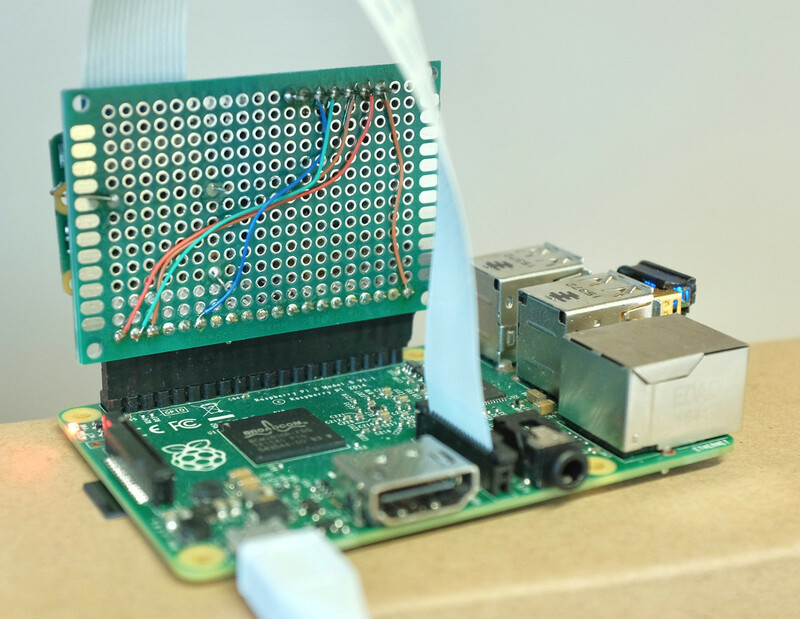 Just sit down in front of your Raspberry Pi’s camera, and the numbers start ticking away. It’s like the little clock in the front of a taxi: except at the end you don’t have to pay anyone, you just have to come to terms with what your life has become. So that’s cool. It doesn’t take much hardware to play along at home. All you need is a Raspberry Pi and the official camera accessory. Though for the full effect you should add one of the displays supported by the Luma.OLED driver so you can see the minutes and hours ticking away in real-time. To get the facial recognition going, all you need to do is take a well-lit picture of your face and save it as a 400×400 JPEG. The Python 3 script will take care of the rest: checking the frames from the camera every few seconds to see if your beautiful mug is in the frame, and incrementing the counters accordingly. Even if you’re not in the market for an Orwellian electronic supervisor, this project is a great example to get you started in the world of facial recognition. With a little luck, you’ll be weaponizing it in no time. Printing with plastic and even resin is getting fairly common. Metal printing, though, is still in the realm of the exotic. A company called Iro3D is aiming to change that with a steel printer that you can buy in beta for about $5000. That seems steep when you can get plastic printers for under $200, but it is sheer bargain basement for something that can print in real metal. Of course, there’s a catch. The printer doesn’t create a solid metal object right away. What it does is prepares a crucible using sand and metal powder. You then place the crucible in a kiln and what comes out is the final product. 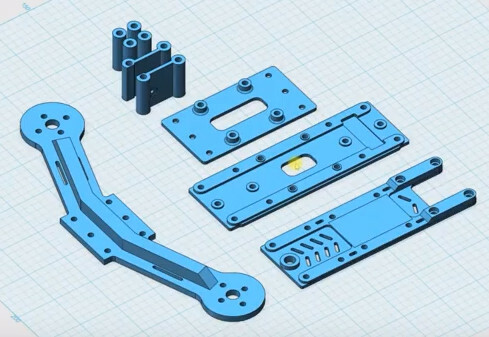 You can see a video review of their prototype machine, below from [3D Printing Nerd]. The company’s promotional video that shows a part coming out of the kiln is also below. If you order an electronic component, how do you know what it is you are receiving? It has the right package and markings, but have you got the real thing from the original manufacturer or have you got an inferior counterfeit? We hear so much about counterfeit parts, and sometimes the level of effort put in by the fraudsters is so high that from either a visual or electrical standpoint they can be hard to spot. [Robb Hammond] writes for Aeri, with an extremely interesting guide to some of the cues for spotting a counterfeit semiconductor part. In doing so he gives us something of an insight into the techniques used by the fraudsters. The first feature of a package to be examined are the indents. Relabeled chips often have their old markings sanded off and a coating applied to simulate the surface of an unmolested chip, and this coating can either obliterate or partially fill any indentations. Using comparison photos we are shown discernable hidden indents, and partially filled indents. We’re shown textures and paints, and how markings can sometimes be shown as counterfeit by washing with solvent. A Cypress-marked part is found to be a cheaper Altera one under the paint, and other parts are shown with misaligned markings and markings placed over indents. Wildly varying countries of origin are claimed while seemingly retaining the same batch codes, an impossibility confirmed by manufacturers. If you order your parts from legitimate distributors then it’s likely that what you receive will be the genuine article. However with the popularity of online auction sites and online bazaars the possibility has become ever more likely of being left with a counterfeit. Knowing some of these tips might just make the difference between the success or failure of your work, so it’s an interesting read. Have you had any dodgy parts on your bench? Tell us about them in the comments. Meanwhile, it’s a subject we’ve covered before. The year so far has been filled with news of Spectre and Meltdown. These exploits take advantage of features like speculative execution, and memory access timing. What they have in common is the fact that all modern processors use cache to access memory faster. We’ve all heard of cache, but what exactly is it, and how does it allow our computers to run faster? In the simplest terms, cache is a fast memory. Computers have two storage systems: primary storage (RAM) and secondary storage (Hard Disk, SSD). From the processor’s point of view, loading data or instructions from RAM is slow — the CPU has to wait and do nothing for 100 cycles or more while the data is loaded. Loading from disk is even slower; millions of cycles are wasted. Cache is a small amount of very fast memory which is used to hold commonly accessed data and instructions. This means the processor only has to wait for the cache to be loaded once. After that, the data is accessible with no waiting. A common (though aging) analogy for cache uses books to represent data: If you needed a specific book to look up an important piece of information, you would first check the books on your desk (cache memory). If your book isn’t there, you’d then go to the books on your shelves (RAM). If that search turned up empty, you’d head over to the local library (Hard Drive) and check out the book. Once back home, you would keep the book on your desk for quick reference — not immediately return it to the library shelves. This is how cache reading works.